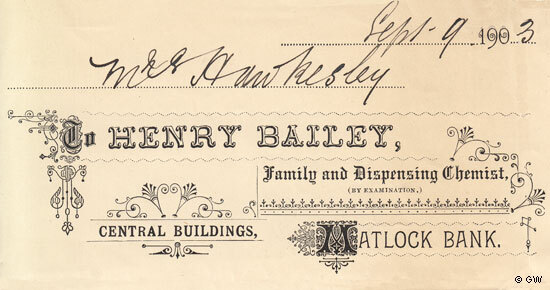 Henry Bailey, 1903 - Family and Dispensing Chemist. 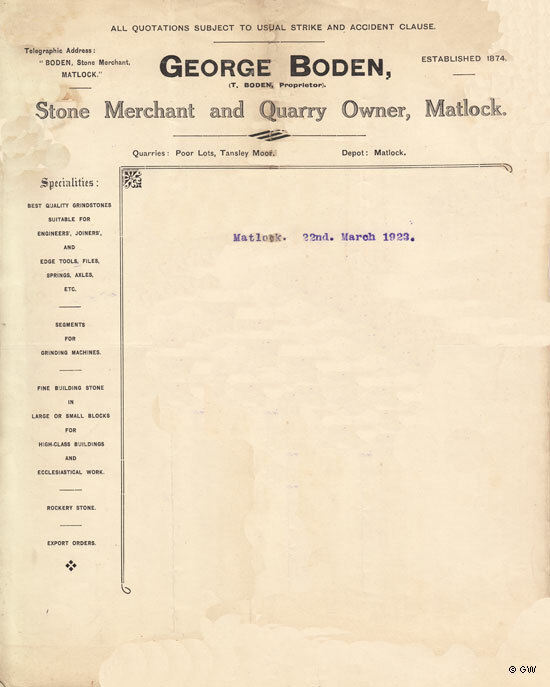 George Boden (T. Boden, Proprietor), 1923 - Stone Merchant and Quarry Owner. were taken over by the London Central Meat Company. The Chamberlains moved to Matlock from Shottle in the late 1890s. 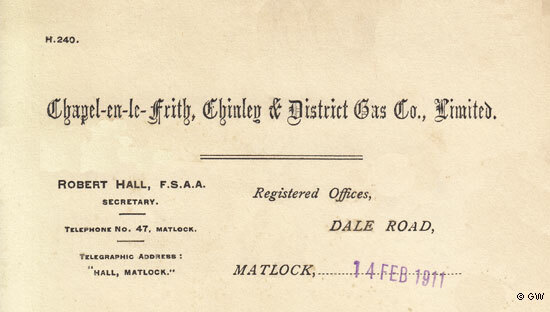 Chapel-en-le-Frith, Chinley & District Gas Co., Limited, 1911. 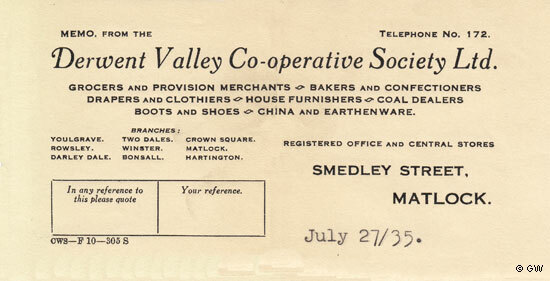 Robert Hall of Matlock was the Secretary and their Registered Office was on Dale Road. 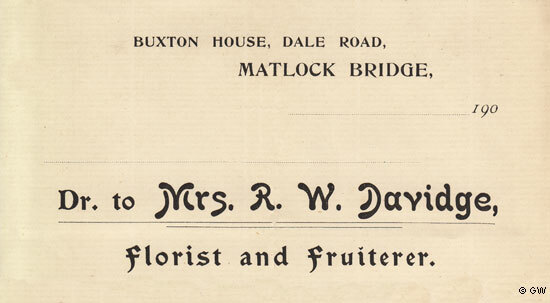 Slightly different Stationery from the same year. Chapel, Whaley & District Gas Company, 1919. 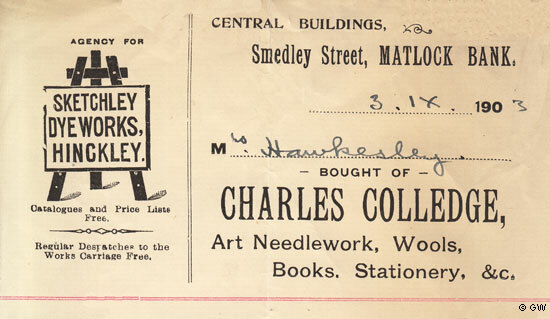 Charles Colledge, 1903 - Art Needlework, Wools, Books, Stationery, &c.
The bank was wound up in 1921. T. Crowder Johnson, Midsummer 1093 - Hand-Made Hosiery. Mr. F. Broome began the business in the Victoria Hall after World War One. Richard Farnsworth & Co, Bleachers and Dyers, of Lumsdale. 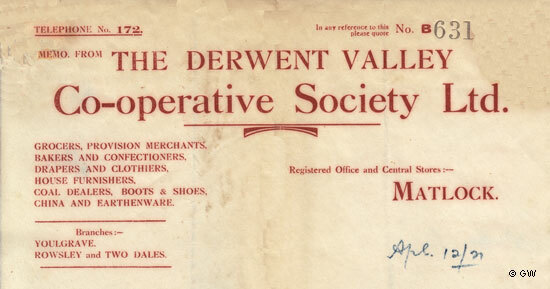 Derwent Mills Ltd., 1931 - Spinners & Manufacturers. and Baldwin, Matlock Mills after the sale. It had offices in London and New York. F. Broome remained as Managing Director. Frederick H Drabble was working for his father in the timber trade in 1871. Drabble's Mill closed in July 1999. The first time the pub's name occurs in census returns is in the 1871 census.